Accolades to my new friend Jason Samenow, The Weather Editor of the Washington Post, Capital Weather Gang, for his good will publishing most of my response. 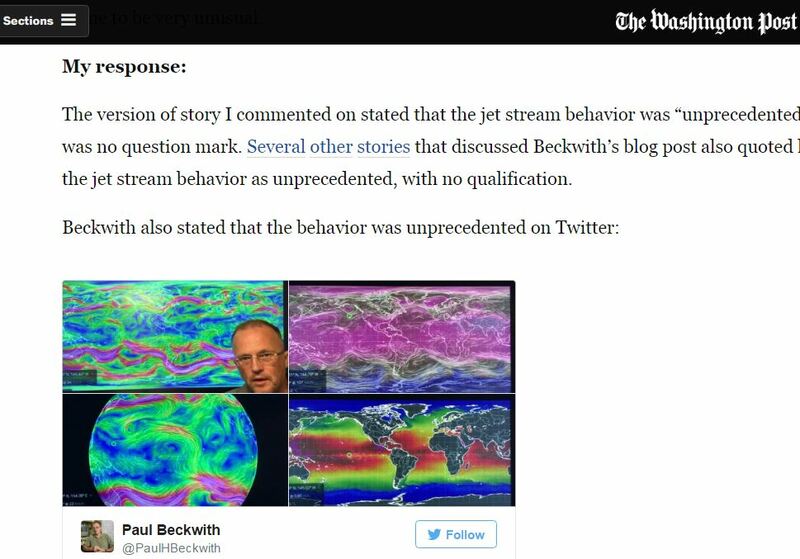 Here is the much awaited publication of my response and reply by The Washington Post: ‘Man behind claim that jet stream made rare equator transit responds to criticism‘. What was unpublished is also interesting. My full response is here: ‘Paul’s Response to Washington Post, Jetstream Article‘. This entry was posted in Climate Change, In The Media, Mention, Opinions, Response and tagged Unprecedented?, Washington Post Article, z Jason Samenow, z Jetstream Crossing Equator. Bookmark the permalink. A planet husk of rocky nature will spin on its axis, wobbling a bit as it goes around the sun with or without oceans of liquid water (ad placed here for Habitable Zone where Sea of Life is vibrant for fun of it in an ongoing garden basically flying through specie of space generally not hospitable. Things orbit around the beltway of capital in or and with the disposition of a frolic taking @ liberty.